A Social Soiree Twitter Party: Win AWESOME Prizes!! You are here: Home / Great Deals / A Social Soiree Twitter Party: Win AWESOME Prizes!! I am very excited to be attending BlogHer for my first time and I have also partnered with some awesome blogging friends to throw an awesome party! But, pre – BlogHer, we will be hosting an – wait for it – AWESOME Twitter Party!!! Check out all of are great – you thought I was gonna say awesome didn’t you – I was… – lol sponsors for the party and then at the bottom there are details about the Twitter party!! We’ll be toasting and networking on August 4th at The New Children’s Museum in San Diego thanks to the support of some phenomenal brands! We would love to introduce you to them and encourage you to get to know them yourselves! · BookIt.com is an online travel company determined and dedicated to becoming the leader in providing travelers with the most intuitive online booking experience full of relevant information, helpful guides and travel tips. · DiscountMags.com offers magazine subscriptions to well over 1,000 titles at the absolute lowest publisher authorized prices. They offer a 100% unconditional money back guarantee if you’re not satisfied with your subscription for any reason, at any time! · Ebates is the pioneer and leader of online Cash Back Shopping. They pay members cash back every time they shop online as well as provide them with the best coupons and deals online. All 100% free. · Enough Time Moms is the blog for busy Moms to learn and share techniques to tame even the craziest family schedule. It seems that there’s never enough time in the day for Moms to get everything done, but that’s simply not true! Invest a few minutes in yourself to reap the rewards of a more organized, less stressed, happier family life. · Groupon negotiates huge discounts—usually 50-90% off—with popular businesses. They send the deals to thousands of subscribers in via free daily emails and on their website. While offering customers incredible deals, they also send the businesses a ton of new customers. That’s the Groupon magic. · O.N.E Drinks is an all-natural beverage company with a deep commitment to the Earth and its people. Their products are responsibly sourced and harvested, filtered naturally and packaged in eco-friendly Tetra Paks. O.N.E. is actively helping educate people worldwide about issues of hydration and the prevention of childhood obesity, and they donate the profits from O.N.E. Water to support educational efforts. · Plastic Jungle is the best place to buy gift cards for less and sell gift cards! At Plastic Jungle you can buy discount gift cards (for up to 35% off) or sell us (for up to 92% of face value) your unused gift cards for cash, 24 hours a day, 7 days a week. Customers can also make extra cash for Back To School by selling their unused gift cards for stores they won’t be shopping at and getting up to 92% for their gift cards. · Scout by Bungalow offers tote bags, storage bins, insulated totes, travel bags and other products that are affordable and come in trendy colors and chic designs. They’ll be providing gift bags for all of our party attendees filled with goodies from our other sponsors! · ShopAtHome.com is one of the largest websites offering free online coupons, grocery coupons, cash back rewards, free samples, restaurant coupons and contests. The site is unique from other online deal sites because it gives cash back to shoppers for purchases made through ShopAtHome.com. Their services are 100% free to use. · Short and Hat are just a couple of crazy kids traveling the country, living out of their car, and telling stories about their adventures. They’ll be photographing our event and attendees! Currently Carrie, aka “short”, is one of the finalists in the Gain Smells Like a Million Bucks contest. We would love to help them win & you can too by voting for their hysterical video HERE. · Storkie was started in 1990 by a WAHM with a vision for a new type of stationery experience. For over 20 years that vision and their founding mission have remained at the core of what they do: providing high quality, affordable custom printed invitations like baby invitations and holiday cards, along with an unparalleled customer experience. · Whole Foods Market seeks the finest natural and organic foods available, maintains the strictest quality standards in the industry, and has an unshakeable commitment to sustainable agriculture. They aim to provide a fun grocery shopping experience and live by the mission “Whole Foods. Whole People. Whole Planet.” Whole Foods Market La Jolla will be catering our event and allowing attendees to sample their mission in action! · WineTwits is an easy to use twitter-powered community bringing together wine enthusiasts to talk about wine, events and special offers. WineTwits takes wine-related messages, using Twitter as the content platform, and organizes those messages by wine type, varietal, region, pairings and user ratings. · Zaycon Foods’ goal is simple – they help families like yours to save money on high-quality food products. They bring fresh meats and other products direct to consumers at wholesale prices. We invite you to register to see for yourself what they are all about. Now, over the past few weeks, we also came to realize that we didn’t think it was fair to let the fun stop at the physical party! So, we decided to throw a Social Soiree Twitter party, too!!! This way ALL of our blogging buds and faithful readers can join in the fun … and even possibly take home some great party favors – like a cooler full of Wholly Guacamole products, or a $50 Snapfish gift certificate, or even a 3-night stay in Las Vegas!! Oh yes, we have some awesome prizes to give away at the Twitter, totally over $1,500. We’ll also be giving away a few pairs of tickets to A Social Soiree in San Diego! Join us on Wednesday, July 27th from 9pm – 10pm (EST) by following the hashtag #SocialSoiree! Be sure you RSVP in advance HERE to you can be eligible to win prizes and we can be sure to follow you in advance! 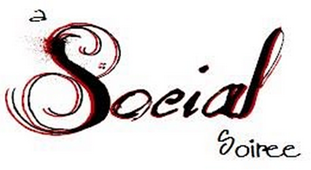 Make sure to follow @SocialSoiree before the party, too! You DO NOT want to miss this party we have a TON of cool prizes to give away! So, mark your calendar NOW!! After all this time, I’ll finally get to meet you in real life. So excited to be planning the party with you. Sara » Me too! Friend!!! Woo hoo!! So excited to party it up on Twitter with you next week … and then IRL in 2 weeks!!! YAY! Alecia @ Savings and Stewardship » Me too! !